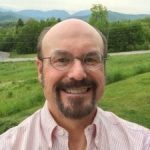 Doug Bates is the co-founder of Apredica, which placed first in the 2006 North of Boston Business Plan contest and was then acquired by Cyprotex PLC in 2010. Doug is currently an angel investor, investing with Walnut Venture Associates and Hub Angels. He also manages Aderit, an internet marketing consulting firm. 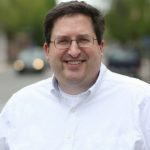 Doug previously had marketing management roles at Aquent, Signet Bank, Providian, and The Franklin Mint. He received his A.B. from Dartmouth, M.B.A. from the Johnson School at Cornell, and his M.S. from the University of Pennsylvania. Glenn is an active angel investor and Director Emeritus of Launchpad Venture Group. Launchpad Venture Group is one of the largest angel groups in New England and one of the most active angel groups in the US. Glenn sourced, championed, lead the due diligence on many opportunities, and has invested in over 22 rounds of funding. A frequent panelist/speaker at numerous networking and business plan competitions at the university and professional levels such as Northeastern University, Babson College, North of Boston Business Plan Competition and MassChallenge. Glenn is a graduate of The D’Amore-McKim School of Business at Northeastern University and The F.W. Olin Graduate School of Business at Babson College. Gordon is the owner of the Hall Company where his sons run the family real estate holdings while he devotes his time to conservation and environmental matters. The Hall Company, Inc. and related entities own, manage and develop real estate in several North Shore communities including Lynn, Revere, Nahant, Peabody and Newburyport. It provides professional real estate management and consulting services to the owners of residential and commercial real estate. Gordon holds and MF in Forestry from Yale University and Bachelor of Arts in English and Geology from Amherst College. He is a Trustee of the Conservation Law Foundation, Director, Forest Society of Maine, and Chewonki Foundation. Gordon serves as the Chairman of the Board for the Salem State University Assistance Corporation. 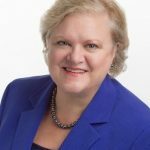 Bonnie Henry is an accomplished Senior Executive, Entrepreneur, and Board Member with more than 38 years of success across multiple industries, including grocery, food service, and specialty foods, consumer packaged goods, healthcare, and management consulting. Leveraging extensive experience with managing P&L, raising capital and creating higher value propositions, Bonnie is a valuable asset for companies seeking guidance on strategic choices and new business development. Her broad areas of expertise include launching new ventures, start-ups, business strategy & planning, strategy implementation, capital strategies & raising capital, financial planning & forecasting, product development, market segmentation & channel management, leadership development, organization change and design, and supply chain management. Throughout her executive career, Bonnie has held leadership positions with DKH Business Advisors; GF Solutions, LLC; GameMetrix Solutions; SweetSpot, LLC; Hellas International, Inc.; Gemini Consulting; Blue Cross & Blue Shield of MA; Harbridge House (acquired by Coopers & Lybrand); Frito-Lay, Inc., and Monsanto Company. As a management consultant, she has led teams working with Pillsbury, Estée Lauder, Ross Stores, and Scottish Rite Children’s Hospital among others. 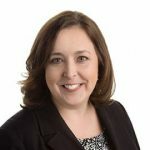 In her current role as Founder & Managing Partner of DKH Business Advisors, she has served as an intermediary to develop strategies and access to capital for growing companies; to provide strategic consulting services; and occasionally to serve as interim management while assisting in recruiting full-time staff. Most recently she was the Founder & CEO of GF Solutions where she created the strategic vision, launched the company, and directly managed the certified gluten-free manufacturing company with proprietary formulations, strong product development, and manufacturing expertise in gluten-free formulations. Previously, Bonnie was the Co-Founder of Hellas International, Inc. where she developed the preeminent brand of Greek specialty foods in North America, and successfully sold that company to Krinos Foods. Bonnie holds an MBA in Management & Labor Relations from The Wharton School, University of Pennsylvania and a BS/BA in Business & Communications from the State University of New York College at Plattsburgh. She has served as Chairman of the Board of GF Solutions and Hellas Int’l, and as a Board Member for Cognate Nutritionals, LLC, Flavrz Beverage Corp., Glymetrix Corp. dba GameMetrix Solutions, SweetSpot Bakery, LLC, sweetriot, inc., and Victoria Gourmet, Inc.. In addition, Bonnie has had leadership roles at angel investing groups such as Golden Seeds and Investors Circle. Bonnie serves as a judge for the business plan competitions for The Enterprise Center, Salem State University and the Penn Wharton Startup Challenge. She is a member of Les Dames d’Escoffier (women leaders in the fields of food, fine beverage and hospitality). In June 2015, Maria became the Northeast Regional Director of the Massachusetts Office of Business Development for the Baker/Polito Administration. The Massachusetts Office of Business Development (MOBD) is the state’s one-stop source for businesses seeking to relocate to Massachusetts and businesses wishing to expand their current operations here. They offer a range of expertise and services to help businesses flourish in Massachusetts. Maria sits on the Key Leaders Council for the Greater Boston YMCA as well as serving on the Board of Advisors of the YMCA of Greater Boston, East Boston Branch. She has successfully raised thousands of dollars for scholarships to worthy high school students through her position as President Emeritus of Fieri Boston, and through a private foundation her family created in honor of her late father, Gerardo Nigro. 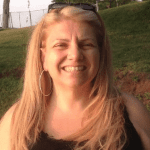 She currently lives in Rockport, MA with her husband Sal and their two little In her spare time she enjoys spending time with her family, cooking, traveling and volunteering in her community. To do work that aligns with his values in life. To prioritize family and community. To help people to use technology with minimum waste and maximum productivity. For more information about SaviorLabs visit www.saviorlabs.com, for more information about Paul visit www.paulparisi.com/. Paul lives in Massachusetts with his wife, two children and two dogs. 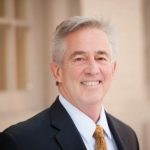 A 35-year veteran of the financial industry, Joe Riley oversees all aspects of retail banking for Salem Five’s 36 locations. 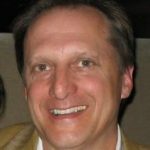 He is an expert in consumer and small business sales and service management and retail growth and optimization. Prior to joining Salem Five in 2017, Riley was an executive vice president of Eastern Bank. Before joining Eastern in 1994, he was vice president and district manager at Fleet Bank. An active member of his local community, Riley is on the Board of Trustees at North Shore Community College (NSCC). He also serves as a trustee of the NSCC Foundation Board and director and as vice chairman of the North Shore Chamber of Commerce. 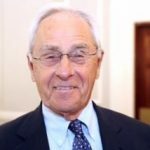 In addition, he serves on the board of directors of the Lynn Boys & Girls Club and is a trustee of the Agganis Foundation. Riley earned a bachelor’s degree in economics from the College of the Holy Cross and a master’s degree in accounting from Northeastern University. He is also a graduate of the CBA Graduate School of Retail Bank Management. He lives in Peabody. Charles M. Smith is the Senior Vice President – SBA Program Manager at Eastern Bank. In this capacity since January of 2011, Charles manages the SBA program for the largest SBA lender in New England. His duties include providing seminars for entrepreneurs, providing information about access to capital to small businesses and overseeing a portfolio of SBA backed small business loans. 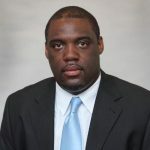 Prior joining Eastern Bank, Charles worked with the Boston District Office of the Small Business Administration as a Lender Relations Specialist. Charles graduated from Texas Tech with a JD/MBA in 2005. He also holds a B.S. in Agricultural Economics from Prairie View A & M University in 2001. Paul R. Simms is First Ipswich Bank’s Commercial Lending team Senior Vice President. Paul joined First Ipswich in 2012 with over 30 years of commercial lending experience. He has a significant background in Commercial and CRE lending and is a valuable asset to First Ipswich Bank. 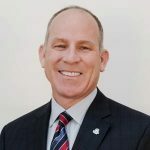 Paul was previously Vice President of Commercial Real Estate Lending at NorthEast Community Bank and had held the position of Assistant Vice President, Commercial Lending with Stoneham Savings Bank, as well as Northern Bank. He was also a Vice President and Senior Loan Officer at Beverly National Bank. Paul earned his Bachelor of Science in Business from the University of Massachusetts. He is an active member of the Peabody Area Chamber of Commerce. Paul is located at First Ipswich Bank’s main office location at 31 Market Street in Ipswich. First Ipswich Bank is a subsidiary of Brookline Bancorp, Inc. (NASDAQ:BRKL), and is headquartered in Ipswich, Massachusetts. A full-service financial institution providing individuals and businesses with deposit and lending services, residential mortgages and home equity lending, Commercial and CRE banking, cash management, merchant services, and access to investment services. First Ipswich Bank has branches in Gloucester, Ipswich, Rowley, Newburyport and Essex. For more information, visit www.firstipswich.com. 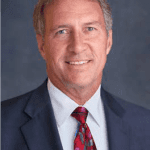 Michael R. Wheeler is president and chief executive officer of Beverly Bank. Appointed President on January 1, 2012, Mr. Wheeler assumed the role of Chief Executive Officer as well in 2013. Having joined the Bank’s Commercial Lending department in 2000, he worked his way up through the department, becoming Senior Vice President in 2007. Ultimately, Mr. Wheeler assumed the responsibility of overseeing both the commercial and residential lending departments. Additionally, he has served as chief compliance officer and clerk of the Bank. Mr. Wheeler earned a Bachelor of Science at University of Southern Maine and a Master of Business Administration from Endicott College, Beverly, MA. Well known in the communities Beverly Bank serves, he immerses himself in civic and community organizations and causes throughout the North Shore.